Professor Mohamed Ahmed with a truck simulator at the UW Driving Simulator Laboratory. Wyoming’s stretch of Interstate 80 is notorious for dicey weather conditions and heavy truck traffic. But it’s also a great place to study how to make driving safer, and that’s why it’s the testing site for a collaboration between the Wyoming Department of Transportation and the University of Wyoming. 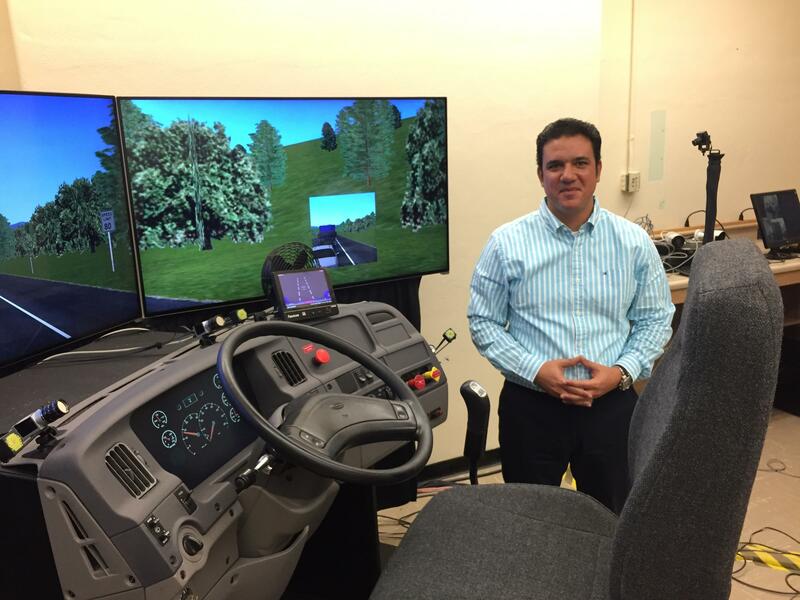 Professor Mohamed Ahmed is the director of the project housed out of UW’s Driving Simulator Laboratory. He said the specific research is focused on connected vehicle technology, which allows cars to communicate with other cars, and roadway infrastructure, about upcoming road conditions. Ahmed explained the system delivers real time updates to drivers via a screen on their dashboard. But to be sure the notifications are useful, and not distracting, truckers are testing the system in a simulated driving environment. “So the main objective of this project is to come up with and deploy some recent technologies to provide real time information to drivers before they reach hazardous conditions on the roadway,” said Ahmed. The next phase is to work with WYDOT and commercial trucking companies to put it to use on I-80. The U.S. Department of Transportation is funding the study of the technology. There also studies underway in Tampa, Florida and New York City. According to Ahmed, in 2018 new cars will come stock with connected vehicle technology. 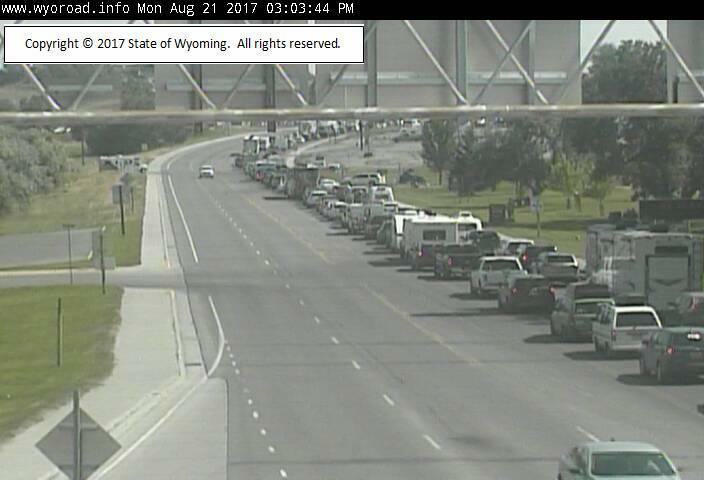 Heavy eclipse traffic in Wyoming caused slower travel than usual. Wyoming Department of Transportation spokesman Doug McGee said on Sunday alone traffic counts increased by more than 27 percent compared to the five-year average statewide. But certain areas saw exponential increases. For example, north of Laramie on U.S. 30-287 traffic increased by 214 percent on Sunday according to WYDOT. Traffic got back to normal yesterday, according to Wyoming’s Department of Transportation. 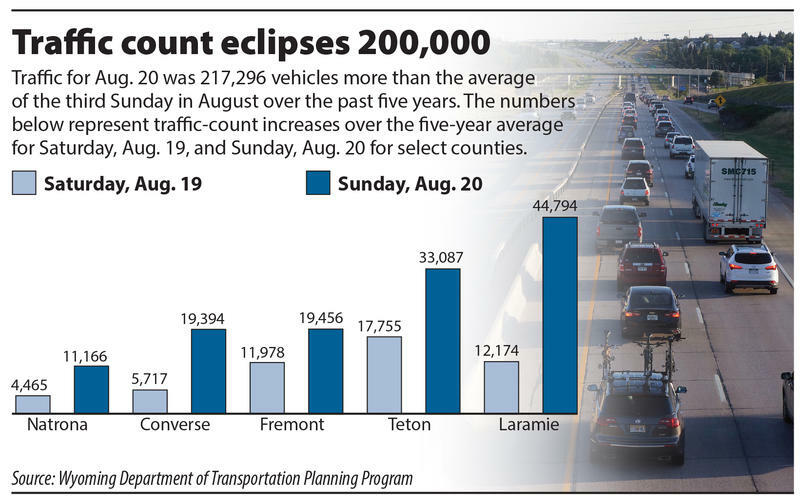 Officials reported historic levels of traffic Monday, the 21, following the solar eclipse or a 68 percent increase of overall traffic compared to the five-year average for the third Monday in August — much of that concentrated in central, western, and southern Wyoming. Doug McGee, public affairs manager for WYDOT, said visitors started entering the state in larger numbers last Wednesday, picking up each day leading to the eclipse. Wyoming’s junior senator, John Barrasso, is now chairman of the committee tasked with crafting President Donald Trump’s call for a massive infrastructure proposal. Trump wants to rebuild roads, bridges, railways and airports across the country. 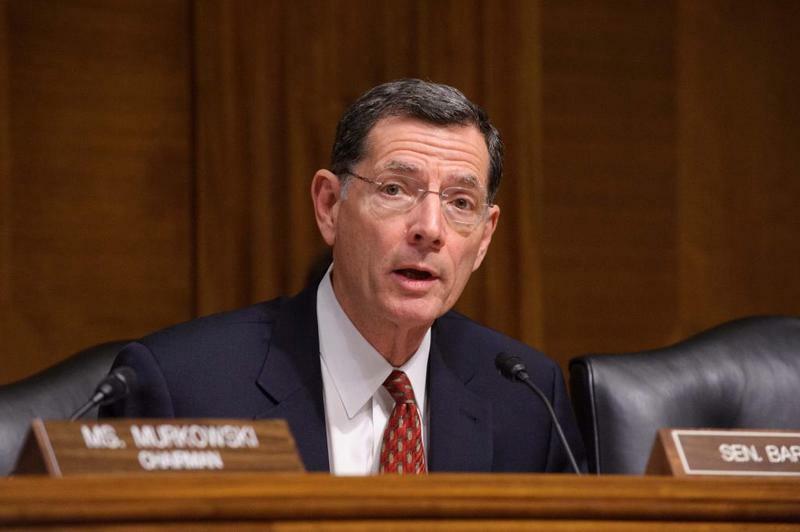 Senator Barrasso is known as a penny pinching conservative, but when it comes to transportation he thinks Washington has been the one pinching Wyoming pennies. A blizzard in the Beartooth Mountains outside Cody, trapped snow plow drivers and even the tow truck that came to pull them out. An amazing rescue saved one plow truck driver who spent all night in the cab of his plow. He survived deadly cold and wind. 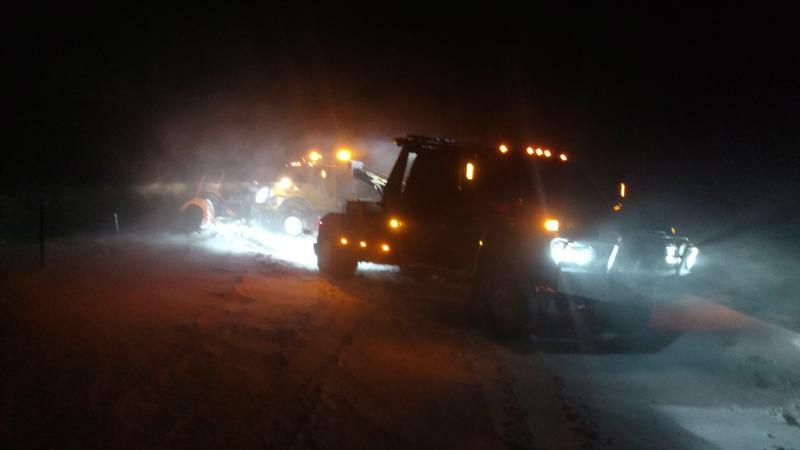 In Cody on Monday morning, just as temperatures rose above freezing for the first time in four days, blinding blowing snow trapped a big backhoe in a drift, and it had to be pulled out with another rig. 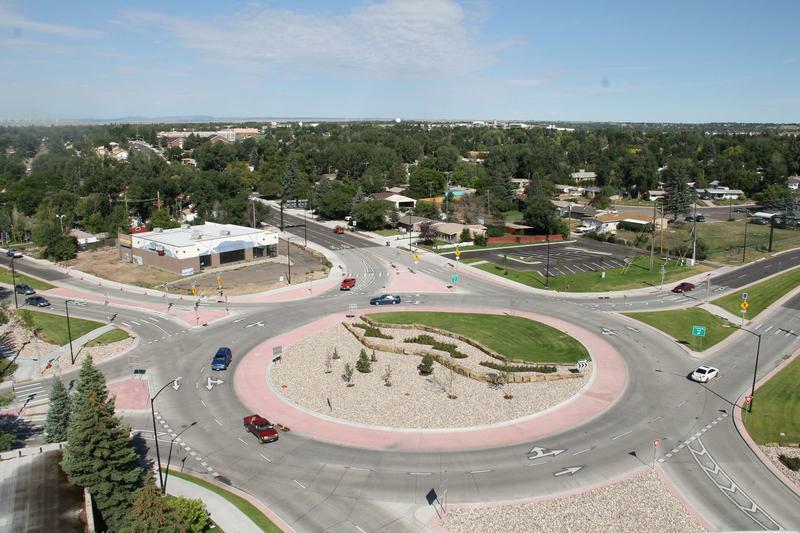 The Cheyenne Metropolitan Planning Organization is emphasizing traffic circle safety in the city’s eleven roundabouts as part of a new safety campaign. Tom Mason, director of the Metropolitan Planning Organization, said Cheyenne and many other cities are moving towards traffic circles since they are safer than traditional 90-degree intersections.